Dry eyes are a common condition that occurs when individual tears aren't able to provide adequate lubrication for your eyes. Tears can be inadequate for many reasons. For example, dry eyes may occur when one cannot produce enough tears or production of poor-quality tears. 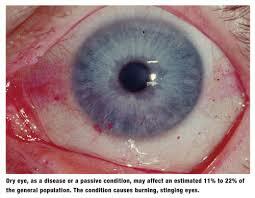 Dry eyes feel uncomfortable; the symptoms of dry eyes are eyes starts sting or burn. An individual may experience dry eyes in certain situations, such as on an airplane, in an air-conditioned room, while riding a bike or after looking at a computer screen for a few hours. Drugs to reduce eyelid inflammation Eye drops to control cornea inflammation Eye inserts that work like artificial tears. 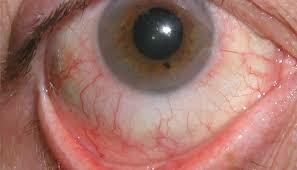 Tear-stimulating drugs, Drugs called cholinergics (pilocarpine, cevimeline) help increase tear production. These drugs are available as pills, gel or eyedrops. Possible side effects include sweating.